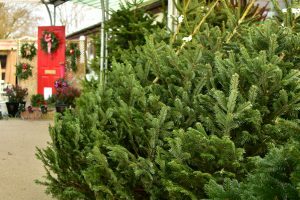 Here at Scothern Nurseries we have a lovely selection of real trees available for you this Christmas. 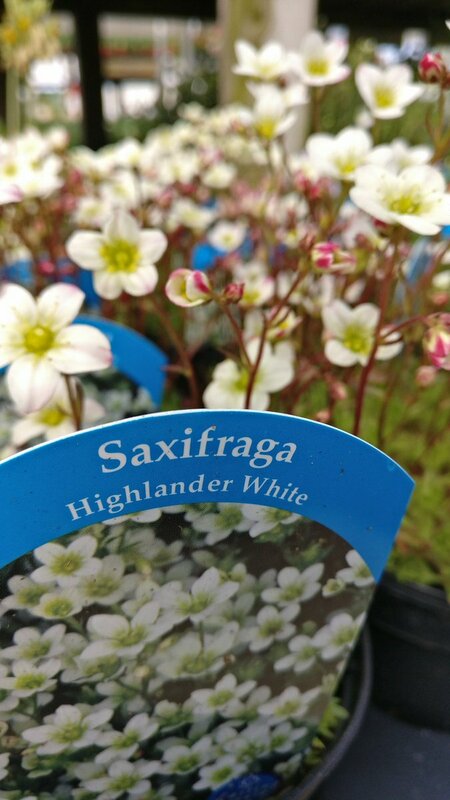 There are potted rooted trees that have been grown by us right here on our nursery as well as pre cut trees that have been sourced from within the county. 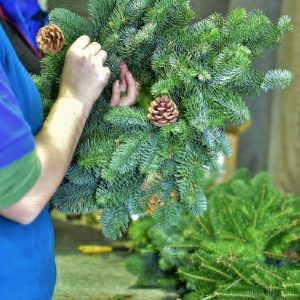 (Deliveries take place every Thursday and there is a charge depending on where you live). 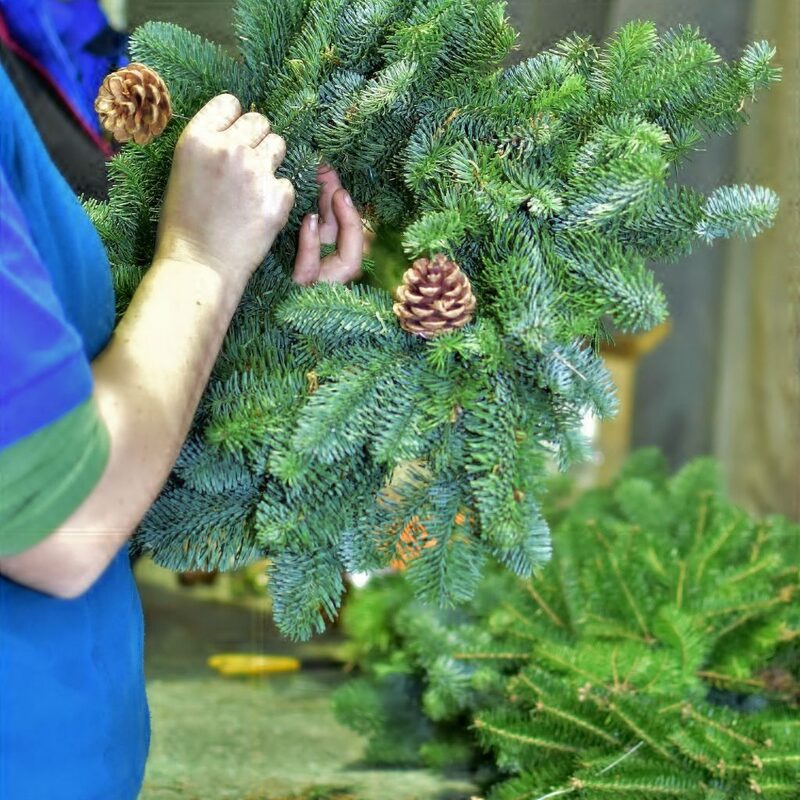 We have a dedicated team on our nursery who make a wide range of festive wreaths and swags. 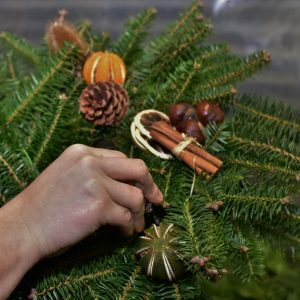 Although techniques have changed over the years we pride ourselves on making each wreath by hand using locally sourced materials. 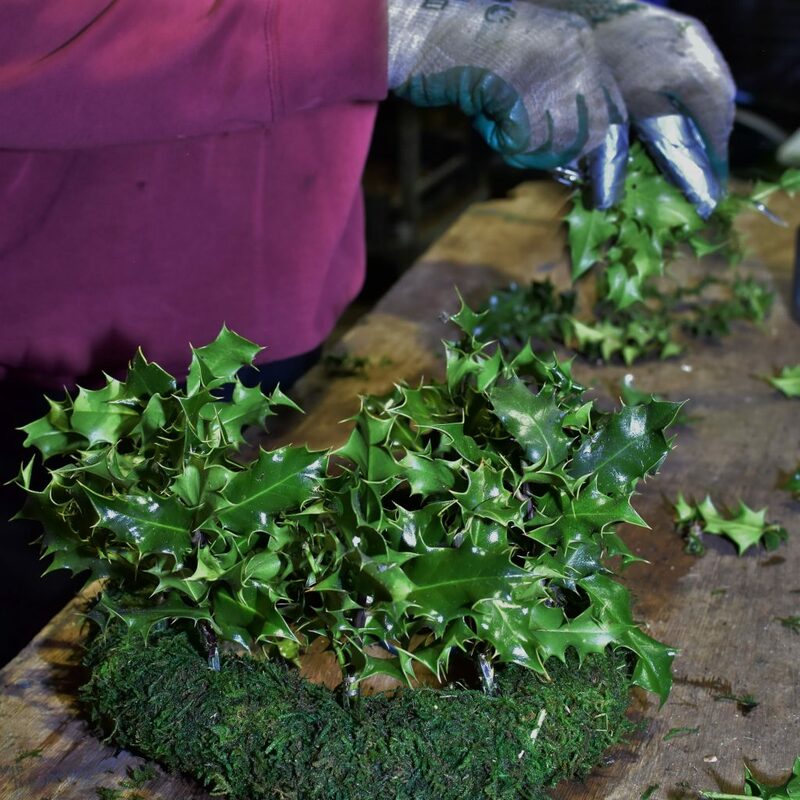 There are the traditional holly wreaths which we have been making on site every year since 1974. Over recent years we have improved our range with contemporary swags made with spruce, eucalyptus, bay leaves, laurel and much more. 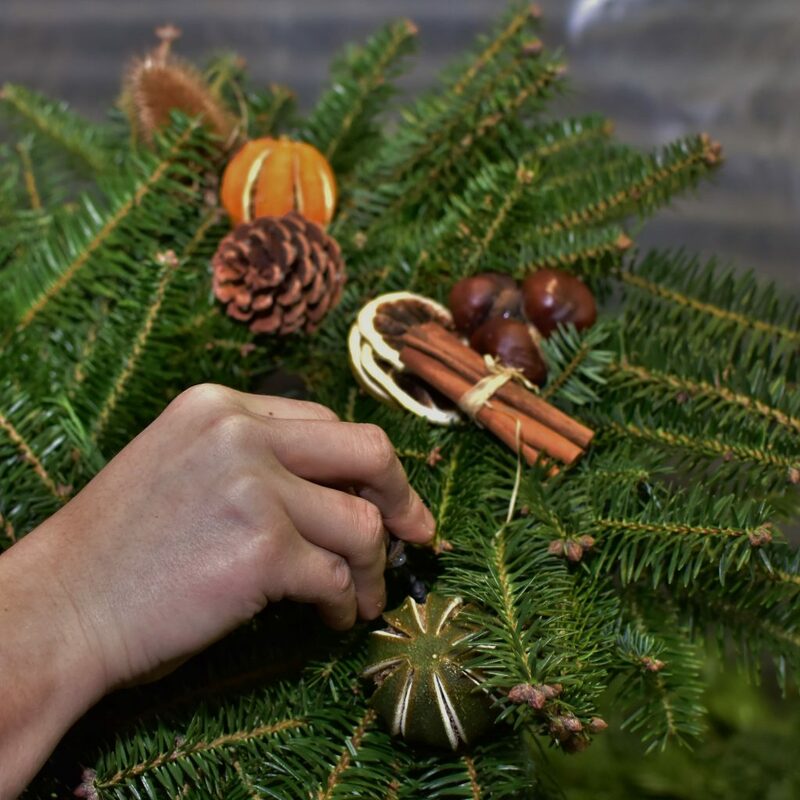 We do provide an in store booking system where you can order your wreath or swag to be collected on any given day up until Friday 21st of December. 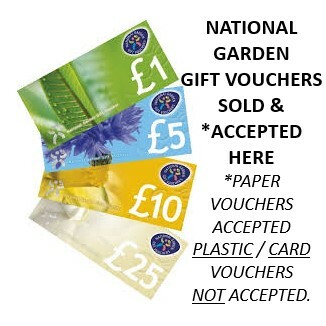 Ensuring you get the style you want when you want it.